Charter flight I Rent of jets I Aircraft for sale I Cessna Citation XLS. CHARTER | CHARTER FLIGHT | RENT OF JETS |AIRCRAFT FOR SALE - CESSNA CITATION XLS. Cessna Aircraft today are so popular that tens of thousands of these private jets fly today in Europe and in the USA. Their sophisticated design and time-tested reliability, as well as their low price and excellent performance characteristics, make​​ the Cessna Citation XLS model quite popular on the market. According to the statistics, the Citation XLS is the jet most often mentioned in the U.S. as the best-selling business jet of the ultra-light class. Charter flights on light Cessna Citation XLS private jets are in high-demand, due to their high level of comfort, even in comparison with middle-class jets. This is the only jet in the world in this class where the height of the cabin allows passengers to move to full height. The Cessna Citation XLS jet does not create the impression of a tight and closed space: the interior is designed in bright colors, supporting the image of a business jet and providing amazing conveniences. The width and height of the cabin resembles the design of the Citation X model. The functionality of the Citation XLS interior, with modern means of communication and multimedia, is also worth mentioning. 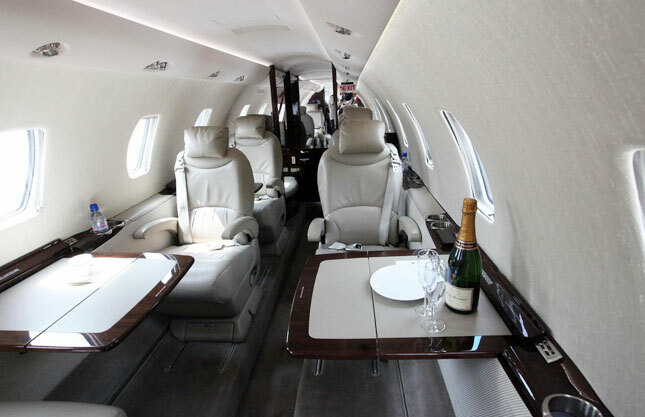 A multifunctional charter by the Cessna Citation XLS jet will be worthily praised by those clients who require frequent flights to a distance of 3,441 kilometers in the company of not more than seven people, who will take their seats in cozy leather armchairs. Renting this model depends on its flight characteristics: it ascends to the proper altitude of the 13,716 meters, in a little less than half an hour, which is quite an achievement for light business jets. Another name of the model – the Cessna Citation 560 XL, has become a revolutionary modification of its predecessor: the Excel; the former aircraft has the perfect 100 Honeywell Primus avionics EFIS and new Pratt & Whitney PW545B turbojet engines, with a thrust of 18.32 kilonewtons each, which create excess thrust for acceleration and ascending to the practical altitude. The Cessna Citation XLS jet conducts Charter flights at a cruising speed of 815 kilometers an hour. The maximum possible speed of the business jet, when flying smaller distances, is 860 kilometers an hour. In case you need a charter flight for a medium-haul flight within the continent, the Citation XLS jet will be your best choice. An advantage of the Citation XLS jet is its ability to land and take off from short runways. The model has been certified even to take off from an air strip without affecting flight safety. Of the entire line of Citation jets, the Cessna Citation XLS is the most popular and the best-selling. The citation XLS model stands out for its low cost of operation and maintenance, as well as for its practical use of fuel.